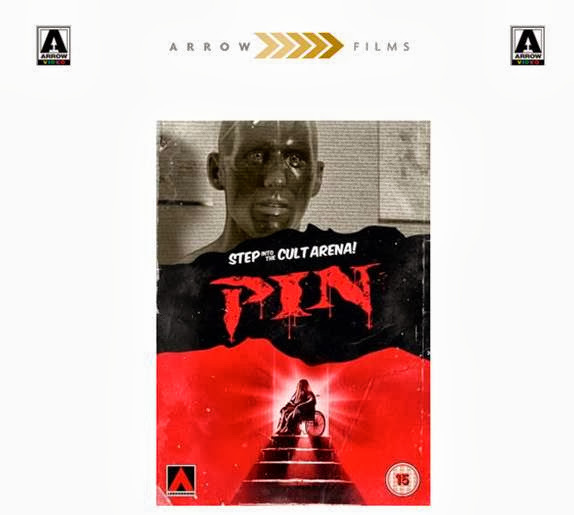 Arrow Video’s label ArrowDrome is pleased to announce a new DVD release of the cult classic PIN, due on 28th October. When close siblings Leon and Ursula lose their parents in a tragic car accident, they inherit the imposing family homestead along with a creepy heirloom – their late father’s medical dummy, “Pin”. Leon has always treated Pin like a member of the family, but this bizarre relationship starts to take a decidedly sinister turn; and when the dummy starts donning dad’s old suits and terrorising the house-guests, Ursula begins to have serious concerns about her brother’s sanity. After all, Pin is just a dummy… isn’t he? Starring Lost’s Terry O’Quinn (who genre fans will know best for his gleefully demented star turn in The Stepfather), Pin is a gem of late 80s horror in the tradition of classic dummy fright flicks such as Magic and Dead of Night.